The Stanislaus River is one of the major gold-bearing rivers crisscrossing the Mother Lode in California. The river is the largest tributary of the San Joaquin River. It is roughly 95 miles in length and it is divided in to three forks (the North, Middle and South) with the longest fork being the Middle Fork. The river originates from the Stanislaus National Forest and flows into New Melones Lake onward to the Sacramento-San Joaquin River delta. The Stanislaus River has a rich gold rush history with most of the known gold mining having been done in late 1840s and 1850s when the Californian gold rush was at its peak. Most of the gold mined along the river basin was placer gold in the river gravels. The city of Sonora was established in 1848 when a group of Native Americans who worked for Charles Weber discovered gold on the Stanislaus River near oak covered foothills. 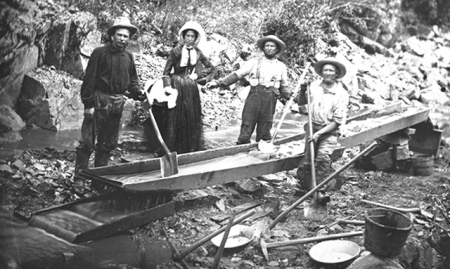 With this discovery many miners moved to the river trying their luck in gold mining. The population of the area grew rapidly and in 1850 Tuolumne County was created and a year later the city of Sonora incorporated. With the decline of the gold deposits along the river, many of the town’s inhabitants moved away, but a new gold rush was started in 1870 when the Guild Mining Company started an impressive hydraulic mining operation in the nearby hills. The town was transformed to a modern town in 1925 when the Melones Dam was constructed to supply electricity. With mining on decline other industries such as farming, railroad and lumber grew to take the place of mining. Columbia is another important gold rush town on the Stanislaus River. The town was established by Thaddeus Hildreth and his brother George. The two together with other prospectors set up a camp near the river and the Hildreth’s Diggings was born. With the arrival of other miners the town change name to American Camp then later Columbia. The town then grew more rapidly with the increase in population and by 1852 the tents had been replaced with permanent structures, streets were created and the town had over 150 merchant stores, saloons and shops. The town also had a Masonic lodge and a church. It began to decline in the 1860s when the gold deposits were depleted and the population fell from over 6000 people to below 500 people. In 1954 parts of the run down town was turned in Columbia State Park. Pine Log was an important mining camp of the gold rush era. It is located on the south Fork of the Stanislaus River east of Modesto. The camp got its name from the two big pine logs that were used a bridge for crossing the river. Gold was first discovered at the site in 1848. By 1849 the area around the two pine tree logs was overrun by miners of different nationalities as a result town sprang up. 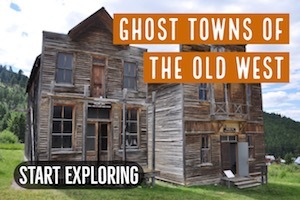 By 1850 the town was well established with general stores, eateries, gambling halls and other important amenities. The town continued to grow and in 1856 mining laws for the pine crossing district was enacted. However with the decline in the amount of gold near Pine Log and the flooding of 1862, the town began to decline. This was another important gold town on the Stanislaus River. The town was established in 1849 by William Knight who started a trading post and ferry services at the site. There were several gold rich claims and bars nearby and this made it easy for settlement to take place around the trading center. The mining town grew rapidly and a post office was established in 1851. By 1859 the town had several general stores, hotels, two attorneys, boot stores, bookshops and a market. In 1862 it was elected as the county seat of Stanislaus County and remained so until 1872. Italian bar is one of the places you should consider when you think of panning for gold on the Stanislaus River. It is an old gold rush mine located at a point about eight miles to the north of Sonora on the South Fork of the Stanislaus River. The mining camp gets its name from the old gold rush days when as a bustling mine had more Italian miners than any other nationality. 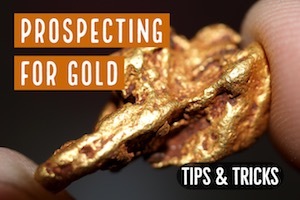 Italian Bar is owned by the Gold Prospectors Association of American and all you need to prospect for gold is to become a member. The bar also has facilities such as dump station, hot shower and toilets among others. When you camp here you get access to about two miles of Stanislaus River and also you may visit the Knight creek and Rose Creek nearby. 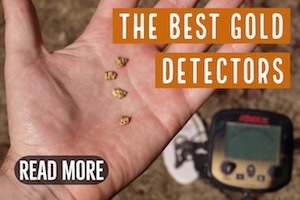 This is another great place that every gold hunter should visit if you are in the area. The state park is part of an old gold rush town and has a lot to offer. 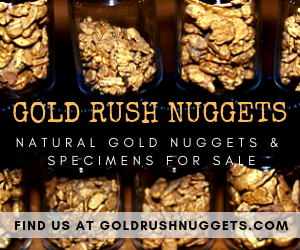 You get a chance to take a historic tour of the gold rush museum, you learn about early gold panning and early gold towns. In addition you have a chance to pan the nearby waters for gold. 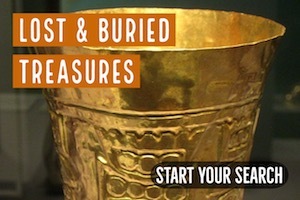 If you have kids then this is the perfect place where they can learn about the great history of gold mining in California. 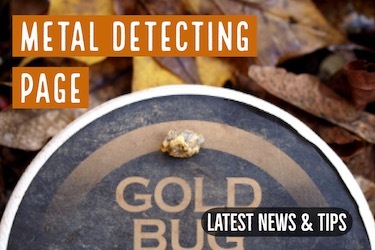 Next: These 3 Huge Gold Nuggets were all found in California!